The wait is finally over! Fenty Beauty, created by the very fabulous and oh so talented Rihanna, has officially launched and of course it has taken over the beauty community by storm. Once I found out that Rihanna was creating her own line of beauty products I automatically knew I was going to support. Personally, I had a list of products that I thought she was going to create but to my surprise the initial launch included 40 different foundation shades. Yes, you read right. FOURTY SHADES. 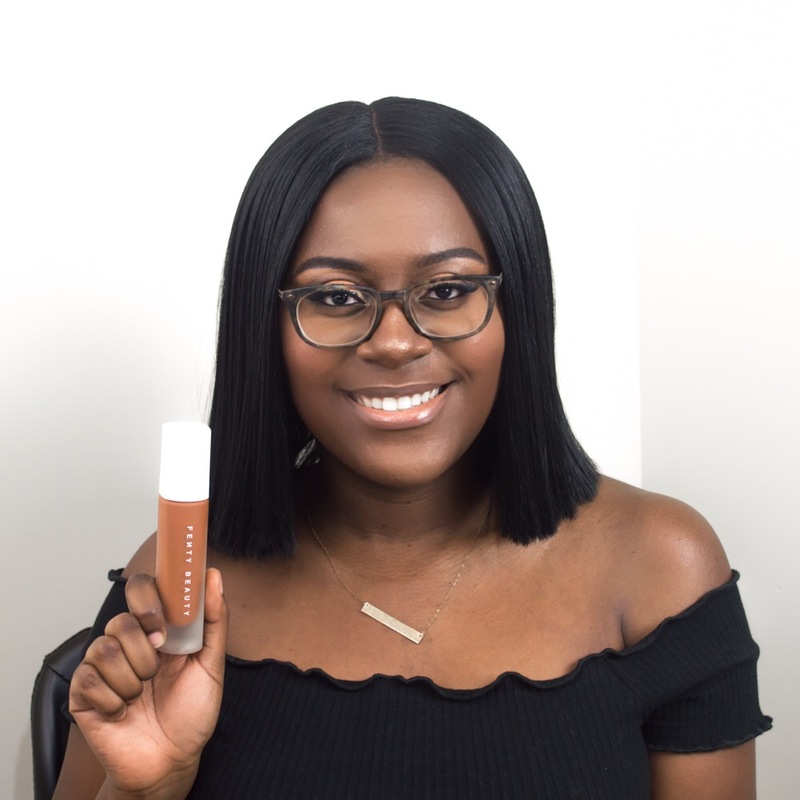 Being a woman of color that is darker on the shade range, I’ve definitely ran into my fair share of difficulties when trying to find my perfect foundation shade. There are quite a few beauty companies who have decided that the ‘deep’ section should only contain two, maybe three shades and that they would work for all of my fellow melaninated sisters. I’ve also heard that certain companies don’t manufacture darker shades simply because they believe Black women aren’t purchasing foundation (let’s not even get into that). I can say I was completely floored when I saw Rihanna was launching so many shades and showcased that diversity can and should be found in make up. Description: A soft matte, long-wear foundation with build able medium to full coverage, in a boundary-breaking range of shades. Additional Details: Oil free, shine-free finish, light as air texture, and cruelty free. Where Can it Be Purchased? : Sephora (In store and online), FentyBeauty.com, and Harvey Nichols (UK). After getting color matched in Sephora, it was determined that the shade 450 would work for my skin tone. I have to be honest, when I first tried it on I was a bit nervous because it was pulling up very red on my skin. After applying the rest of my face make up (concealer, highlight, and a touch of blush which can be seen in the photo above), I noticed that the foundation oxidized and blended very well into my skin complexion. Oxidization usually drives me crazy so this was the first time that it actually worked in my favor (yay Fenty Beauty!). 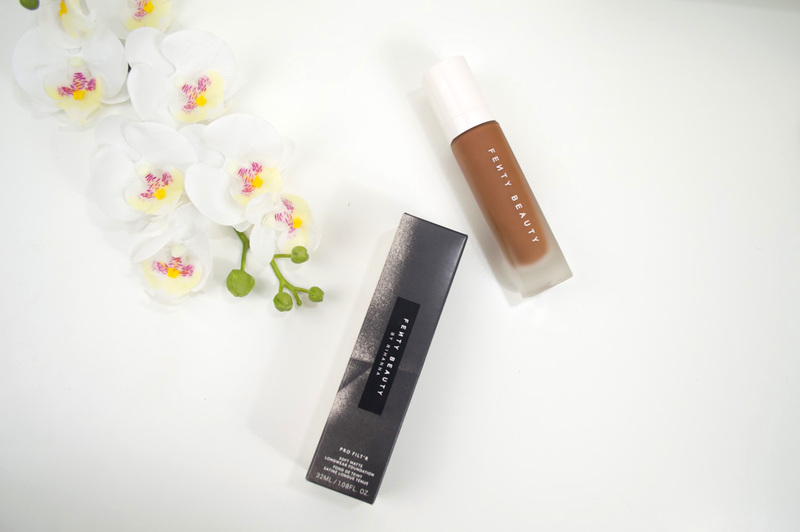 The foundation does have a soft matte finish and a very smooth to touch feel. I did heavily moisturize my skin before applying so I didn’t deal with any dry patches afterwards. I also really love how light weight the foundation is, it doesn’t feel cakey or heavy at all. This is definitely going to be my go to foundation when I need to wear make up for long periods of time! I’m looking forward to picking up a few more products from the Fenty Beauty collection and sharing my thoughts with you all. Have you picked up any products or have any on your wishlist? Let me know below! Product provided by Curlfluence for review.